Today, the full video of "Revolution", directed by Michael Lindsay-Hogg was published on YouTube and Vevo. 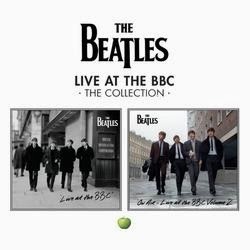 This is the first of five full length music videos to be published as promotion for the upcoming new editions of Beatles 1 and the DeLuxe Beatles 1+ . "Revolution" was filmed in tandem with "Hey Jude" on Wednesday 4 September 1968 at Twickenham film studios. Whereas "Hey Jude" was introduced by David Frost to be part of his television programme Frost on Sunday, "Revolution" was filmed to act as a music video to promote John's side of the single. There were three versions of "Hey Jude" and two of "Revolution" recorded and filmed. The songs all had live vocals on top of pre-recorded elements, a method that may have been inspired by the "All You Need Is Love" session for the satellite broadcast of "Our World". As a result of this, the audio tracks to the finished versions of each video are all unique and haven't previously been released in an official capacity. The version of "Revolution" featured here is the one where it looks like George is saying to Paul, "John smells like sh*t!" The Beatles arrived at the studios at 1.30pm and worked until evening. 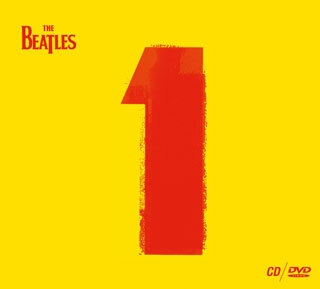 For the "Revolution" clips, Paul McCartney performed the scream during the introduction, and the 'shoo-be doo-wop' backing vocals were ad-libbed from the slower, then-unreleased "Revolution 1". The only contemporary UK screening of the "Revolution" clip was on the BBC's "Top Of The Pops" on Thursday 19 September. Long time Beatles video collector and expert Steve Shorten informs us that when he watched this side-by-side with the original clip, he noticed some changes. In addition to trimming the beginning and end of the clip, a roughly 10-second segment of alternate footage has been inserted into the original edit of the promo at around the 1:30 mark. Shorten suspects we will be seeing several other changes of this nature throughout the disc(s). As far as the sound is concerned, this is a new mono mix, with Nicky Hopkins' piano track added. It's a well known fact that John Lennon preferred the mono "Revolution", he didn't like the stereo mix which they released on "the blue album", Beatles 1967-1970 . So it seems they have honoured his wish. Or perhaps they never had the live vocals taped separately, they may have only been recorded as part of the full mix including the backing track. Back in 1992 when Ron Furmanek remastered and remixed the promo videos for the first time, he also went with mono for "Revolution". The next video is coming up in two days, on 22 October.